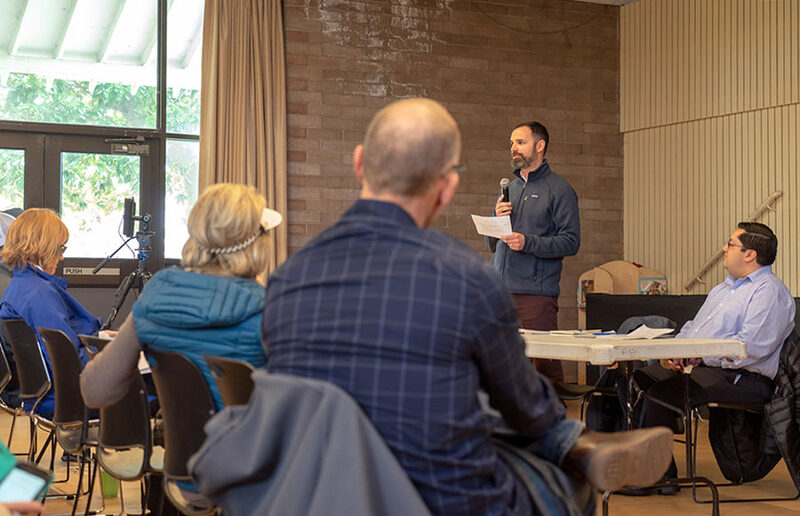 Berkeley community members met with Mayor Jesse Arreguín at a Berkeley Neighborhoods Council Forum on Saturday to discuss keeping Berkeley a livable city. Members of the public stood up and applauded after Berkeley City Council members voted unanimously to pass what Mayor Jesse Arreguín described on Twitter as “the most ambitious, groundbreaking policy” in the country to reduce the usage of disposable, noncompostable foodware items such as plates and utensils. Half of the city council could see a change come November, and there are fourteen people running in total for the four district seats. Berkeley residents expressed their excitement after the passing of the Referral to Zero Waste Commission at Berkeley City Council’s regular meeting Tuesday. On Tuesday, City Council approved a proposal to explore the possibility of banning plastic straws in Berkeley’s bars, restaurants and coffee shops. Working on Berkeley City Council has been a longtime dream for Ben Bartlett, who was born in South Berkeley in the 1970s. Both incumbents up for election, Darryl Moore and Susan Wengraf, held out in Tuesday night’s city council elections for Districts 2 and 6, while newcomers Ben Bartlett and Sophie Hahn will take over in Districts 3 and 5. Berkeley City Council is set to resume its usual regular meetings Tuesday night to discuss a proposed green housing incentive program and a possible ballot measure to promote increased police accountability after an eventful eight-week summer recess marked by several lawsuits and the approval of a city minimum wage ordinance.